Kings Points vs. Sun City Center: Which 55+ Community Is Better for You? One of many pools in Sun City Center. When you know you want to live in the Tampa area and you know you want to live around other active adults and in a community with lots of amenities and plenty of social events, it’s a good idea to head south of the city where you’ll find Sun City Center. Within this unincorporated section of Hillsborough County, there are two 55+ communities. One is called Kings Point and one is called Sun City Center. They share some similarities (golf carts have right-of-way), but they also have their own boundaries, their own rules and regulations, their own management, and their own style of homes. Kings Point and Sun City Center are divided by Sun City Center Boulevard, and they’re both close to shops, restaurants, grocery stores, and houses of worship. Residents here keep busy, and the lifestyle at both communities reflects the Gulf Coast’s reputation for superior sunshine, exceptional golf, and abundant recreational opportunities. There's plenty of golf available in both communities. Both communities have single-family and attached homes available for resale. The price range for these properties is also more or less the same. Homes start under $100,000 at both communities, and at Kings Point they rise into the low $300s. At Sun City Center, newer homes with over 2,500 square feet of living space can creep over $400,000. Amenities are easy to compare. Each community has 63 holes of golf available. 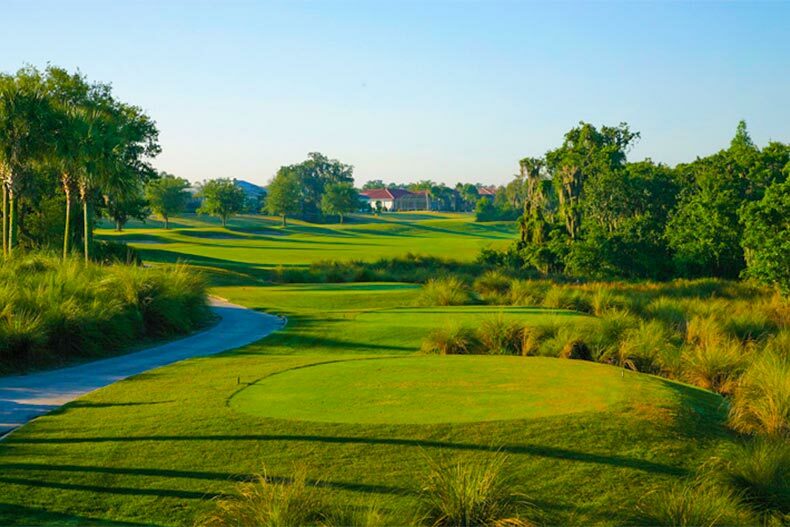 At Sun City Center, residents can also opt to play at Caloosa Country Club, which requires a membership outside of the normal privileges available to residents. Indoor and outdoor pools are spread out around each community, and there are clubhouses with fitness centers, group exercise classes, theaters, and libraries. Around the greater Sun City Center area, you’ll never know who lives where, unless you see a parking sticker on their car that identifies them as residents of one community or the other. There’s a Publix grocery store as well as a Winn Dixie and a Wal-Mart close by, and plenty of other places to shop and run errands. Golf carts are a big deal – you’ll see them in the parking lots and at the pharmacy windows. The speed limit in each community hovers right around 15 mph to ensure safety for all golf cart drivers, pedestrians, and residents and guests who are behind the wheels of their full-size automobiles. Kings Point maintains a separate existence, even while some of the amenities, services, and memberships blend into Sun City Center territory. It’s nearly half the size of Sun City Center, and there are many different condo associations that govern the properties here. Yours will depend on where you live and what you buy. One thing that sets Kings Point apart is that it’s less pet-friendly than Sun City Center. Some of the condo associations within Kings Point won’t allow residents to have a dog or cat. Others will permit you to move in with an existing pet, but once that animal moves onto the great big dog park in the sky, you aren’t allowed to get a new one. Some residents find Kings Point a bit more private and a little more exclusive. It’s a gated community, so you’ll need to have a very good reason to roll up on the guard shack. They’re going to want to know who sent you, and they won’t stand for anyone trying to talk their way into the community. It helps residents feel more secure, and permanent guest passes can be arranged for your frequent visitors. Club activities are for Kings Point residents only, and if there’s a special event or a trip planned, Kings Point homeowners have dibs on tickets and reservations. Those spots open up to Sun City Center residents if there’s any space left. This community is younger than its Sun City Center cousin, and construction began in 1973. Maintenance-free living is a given at Kings Point. Association fees cover insurance, water and trash, landscaping, security, and even basic cable. Finding a serene place to socialize or just relax is always possible in Sun City Center. Sun City Center is a little more public and a lot larger. There are 9,500 properties, and the community has reached its build out, with the last new home recently being completed. Sun City Center has been around for more than 50 years, and it’s one of the most popular retirement destinations for full-time residents as well as a desirable part-time home for Florida’s snowbirds who spend nearly half the year in the neighborhood. The main difference in Sun City Center is that the homes tend to be more traditional and less communal. The lots are larger, and there are sidewalks and private driveways, which are not common at Kings Point. Individual homeowners can be seen watering and caring for their lawns, while the associations take care of those details at Kings Point. You can have a private pool at your home in Sun City Center, and there’s more owner control over individual homes. The roads are public, and there isn’t a gate that separates the community from the rest of Sun City Center. Residents of Kings Point are invited to participate in all of the amenities, club meetings, and events that are scheduled at Sun City Center. The Sun City Center library is open to residents of both communities, and there are plenty of opportunities for shuffleboard, lawn bowling, tennis, softball, pickleball, handball, and any other type of sport you can possibly imagine. 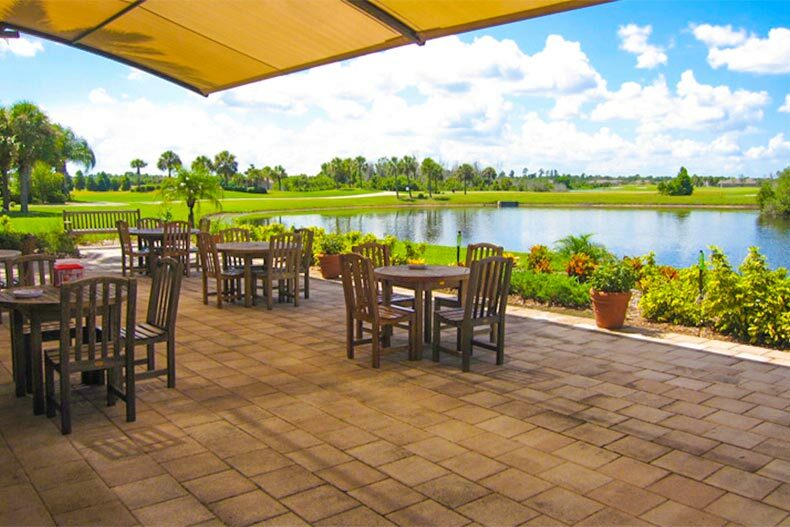 Both communities have minor differences, but offer 55+ residents the same type of active lifestyle that is so appealing under the Florida sunshine. Both communities are just down the road from Little Manatee River State Park, and Tampa is less than half an hour away. Sarasota is not too far down Interstate 75, and both Sun City Center and Kings Point are a great base from which to explore the rest of this fascinating state.